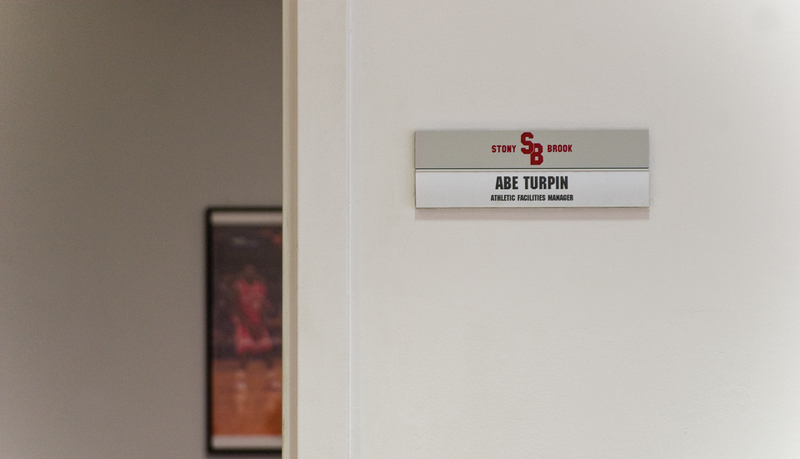 For more than 50 years, Stony Brook University has been transforming the lives of people who earn degrees, work, and make groundbreaking discoveries at the university. 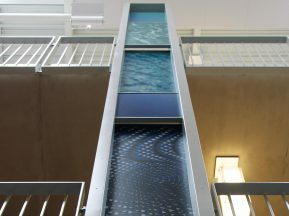 The university’s 1,100-acre campus is located on Long Island’s North Shore. 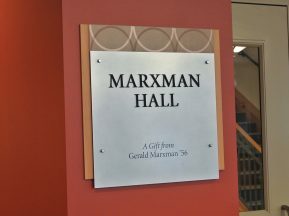 Included with the main academic areas of the university is an 8,300-seat stadium and sports complex, which is home to the Fighting Seawolves, the pride of Stony Brook University and an athletic force in the NCAA’s America East conference. 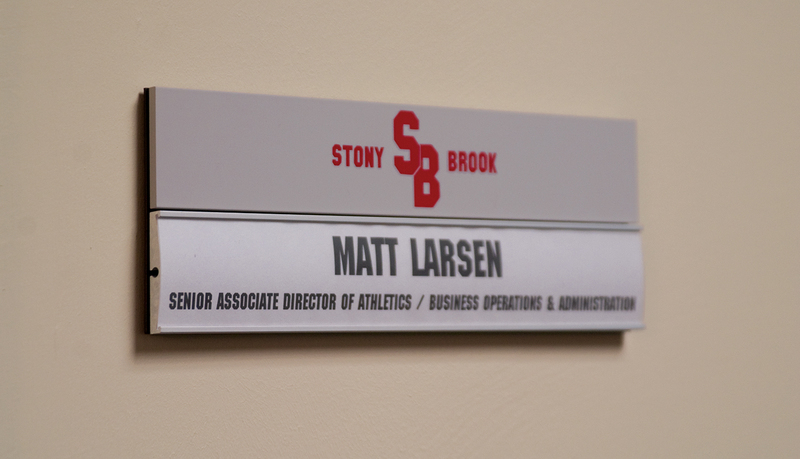 The current signage inside Stony Brook’s athletic center and sports complex needed to be updated for branding purposes, message schedule, and to be brought up current ADAAG standards. 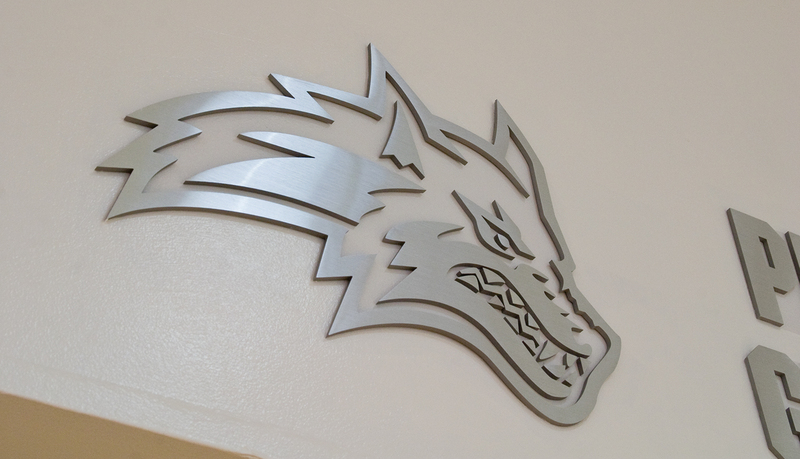 The athletic director for Stony Brook wanted the signage – which is seen daily by athletic staff and student athletes – to be more than just a sign: the solution needed to be a point of pride and effectively promote the university’s brand and mascot, the Seawolves. 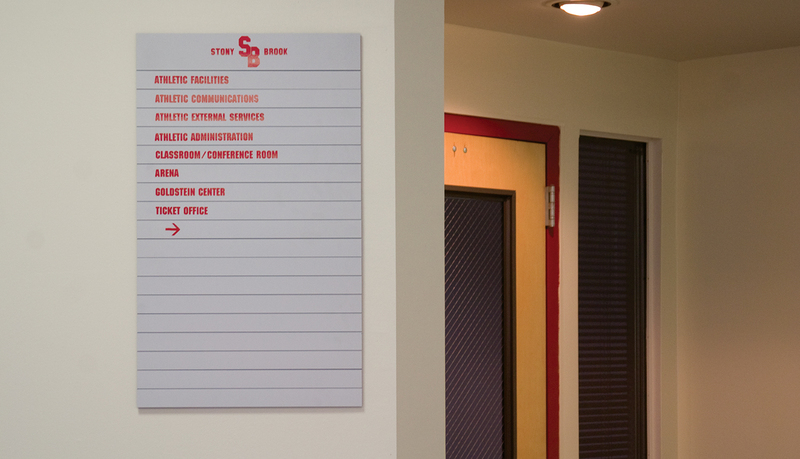 Because of the successful implementation of solutions for other New York area universities, ASI was brought on board by Stony Brook University to create an affordable and effective signage solution for the athletic department. 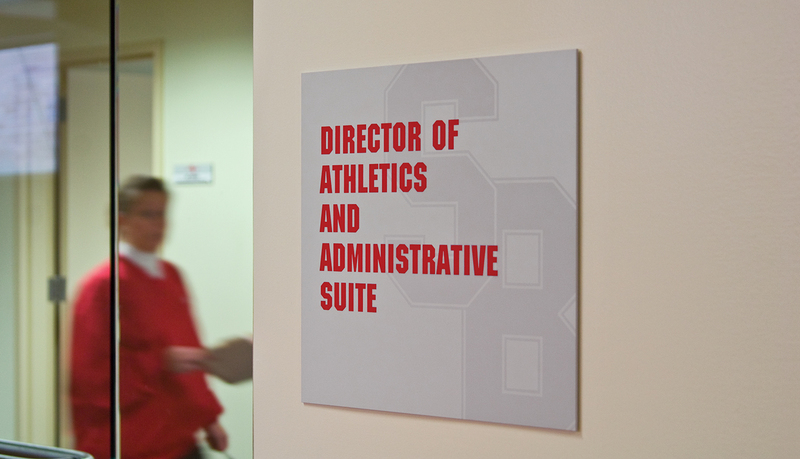 ASI worked directly with the director of athletics to design a new interior signage solution to update the current interior signage throughout the athletic facilities of Stony Brook University, home of the fighting Seawolves. 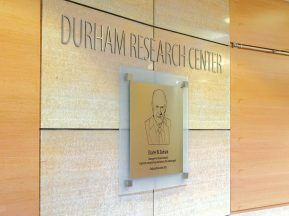 After consulting with the client, ASI designed the sign family and proposed the wayfinding and message schedule for the facility. 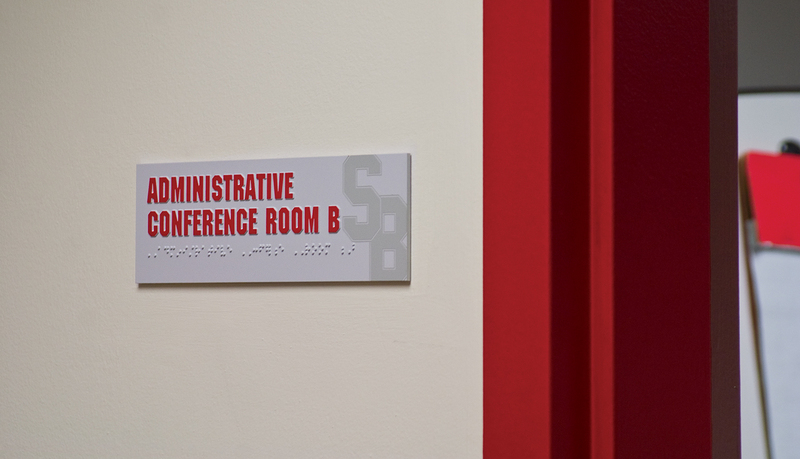 To promote the university’s brand identity, ASI matched the Seawolves signature red and silver colors and integrated a watermark digital graphic of the school’s “SB” lettering into the custom wall signs. 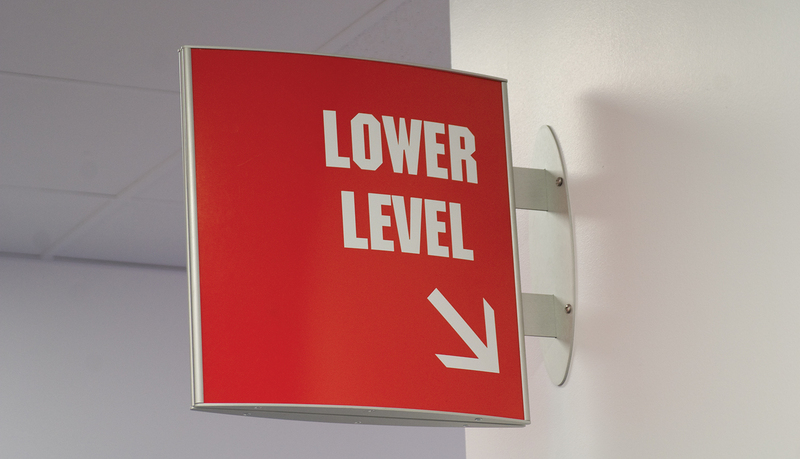 ASI customized its extruded aluminum signage system line and implemented large projection signs and wall mounted signs into the spectator areas. 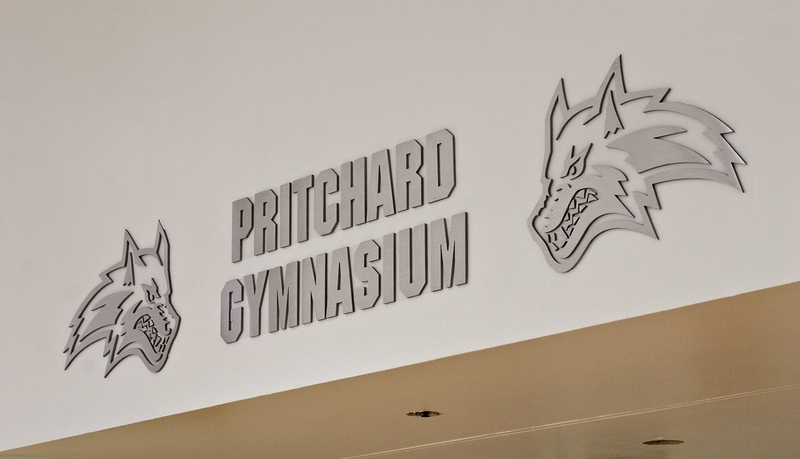 The custom program was an affordable and functional solution designed to allow the athletic department staff to create and update inserts as necessary. 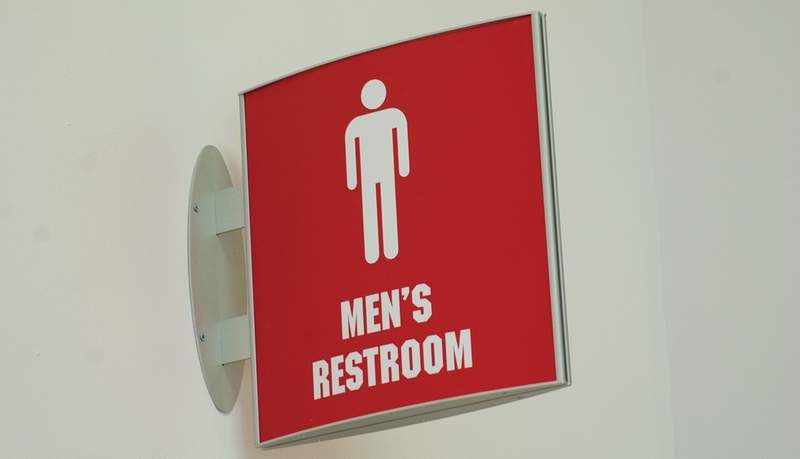 The final solution enables crowds to easily find critical areas such as concessions and restrooms. 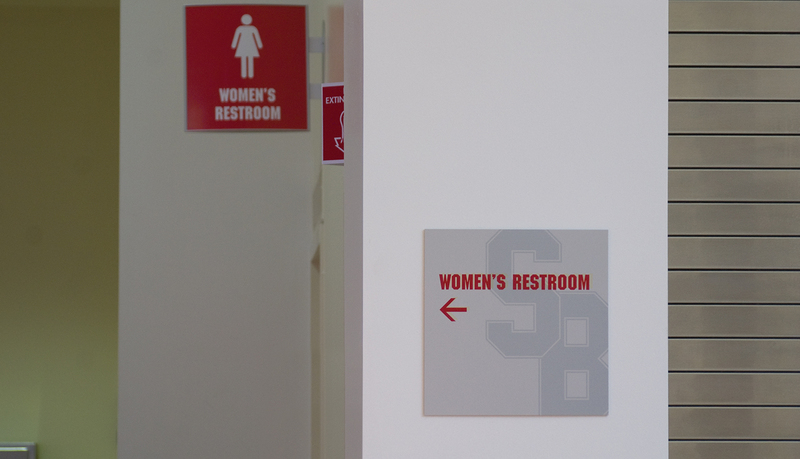 The university and athletic department personnel have already begun to realize the benefits of the new interior signage program and are extremely pleased with the results. 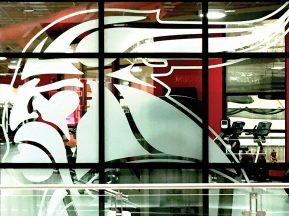 ASI is in the process of designing, fabricating and installing an exterior program for the athletics facilities’ over the next year.